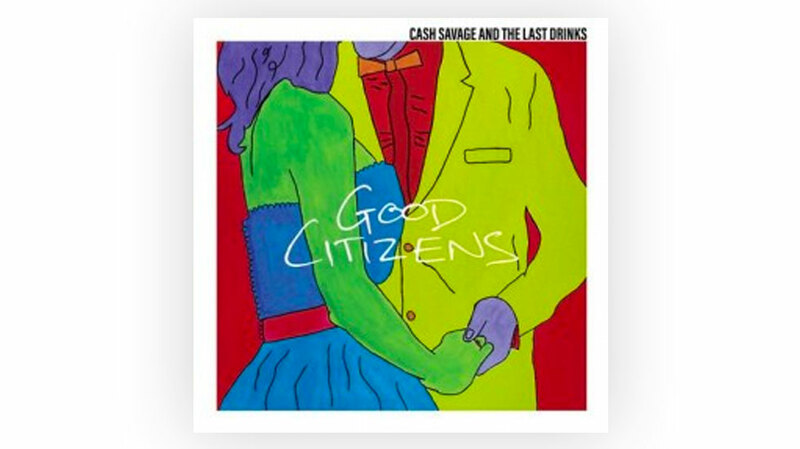 Arguably their best work to date, Good Citizens is the fourth studio album from Cash Savage and The Last Drinks. Frontwoman Cash Savage has been in the music industry for around a decade, but on this newest album her personal experiences have collided with social movements, and the album has struck a chord with many, elevating the band to new levels. In Good Citizens Cash Savage and co have slightly steered away from their blues and alt country origins and have veered more toward the angular side of Australian post punk. Good Citizens is less textured and fuzzy, it’s sharp, often faster paced and crisper in sound and thesis. However it still pays homage to the sound they have become renowned for in albums Hypnotiser and One of Us, namely Cash’s writing style, the classic, swirling strings, billowing guitar and spacious drums. Good Citizens is also unique from other Cash Savage and The Last Drinks albums in that it is a snapshot in time, a period of around six months during which Cash documented her experiences and observations. This makes sense, the album feels tight and full, even at only 9 tracks long, but although the album was written faster than any before it, it doesn’t lack any of the detail. It feels very rare and special to come across an album like Good Citizens. It’s one of those albums where everything comes together seamlessly; the voice, the writing, the zeitgeist themes, the personality, the listenability, the point of difference, the punk ethos served with thorough analysis. It’s a person singing about their personal experiences that are, unbeknown to them, similar experiences to women, minorities and LGBTQI+ people all over the world. And the result is an album full of political-personal songs that everyone can relate to. Good Citizens also has universal themes of hurt, identity and exploration, and it’s this mixture of socio-political and humanness that gives it such an edge over the competition. The stripped back Better Than That is in reaction to the marriage equality plebiscite, the rollicking Pack Animals is a take on what it is like being a female in the music industry and Good Citizens is about perceived ‘goodness’, that in reality just causes injustice and spreads hate. Track one, Human, I Am is an ode to being free and equal, with a chugging guitar line, slow drums and wild strings that swell until breaking point, though it is standout track Better Than That that makes you realise the album is taking a different path to the band’s previous work. Just like the cover art suggests, it is bold, directional, clean, and absolutely unforgettable. As soon as those first clean plucks pierce through the air and Cash’s bone-breaking voice comes in, your brain reorders. While it could seem that there is a lot for everyone to be angry about in Good Citizens, it is not all doom and gloom, there is a kind of mischievous nature and hopeful undertone in both Cash and the album, which is also prevalant in the film clip for Pack Animals, that seems to place the notion of faith in a more positive and inclusive future. Savage’s voice rings genuine, but it’s not just the authenticity and straight-up nature of her voice, it’s the voice itself; rich and deep, it’s like it comes from another era and time, often reminiscent of Patti Smith or Kate Pierson. It’s definitely this voice and personality that carries the album, it ensures that there is never a lull or filler, that the softer moments are as tender as Elvis Presley and the raging moments are as animated as Iggy Pop. But the album is also punctilious, and showcases huge musical and composition dexterity. Every single corner of Good Citizens is perfect, even when it isn’t.